Have you ever noticed when you purchase something, all of a sudden you start seeing it everywhere? Buy a Ford Focus, and all of a sudden it seems like everyone is driving one, dye your hair red, and suddenly your sister feels the need to as well. 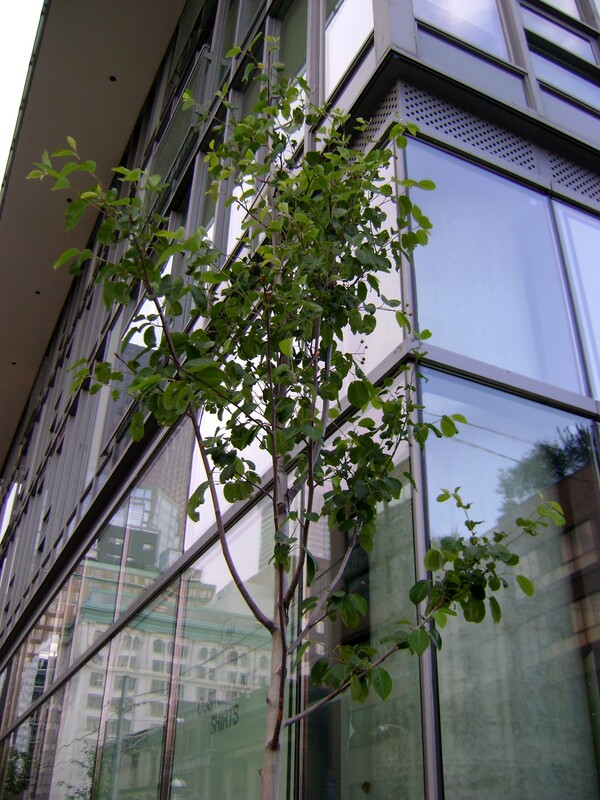 I planted my Serviceberry (or Amelanchier for my British friends) Allee last fall after thinking long and hard about what tree to use. Has someone written a book or magazine article about how great they are? Suddenly I am seeing them everywhere, and this is downtown Toronto, not a small town or out in the country. This condo has just been built across from St. James Park at Adelaide and Jarvis. 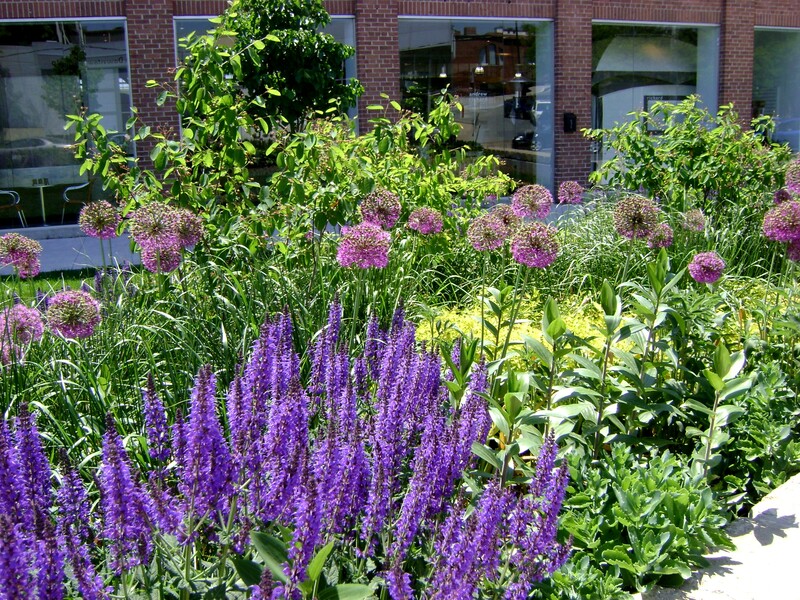 Look at what the landscaping firm has planted in the front. 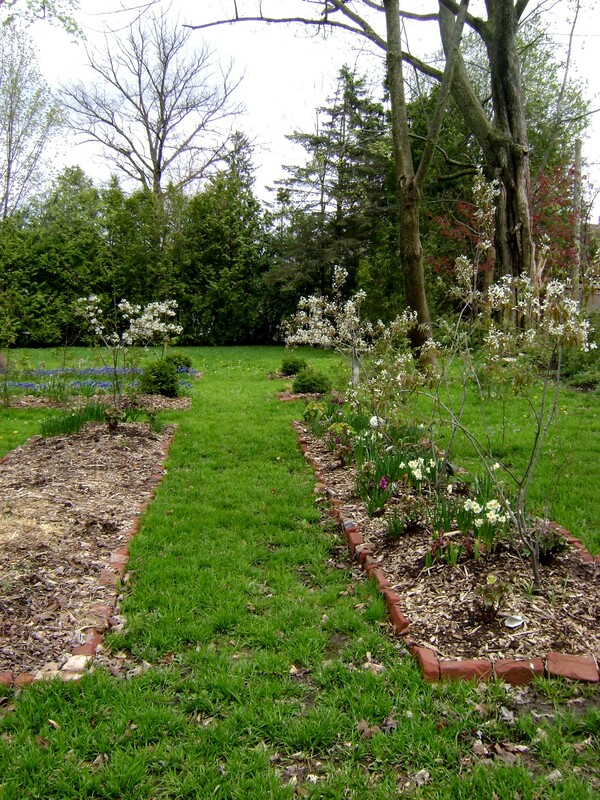 Ok, one of them is not very happy, but I am sure the landscaping company is going to do something about that. 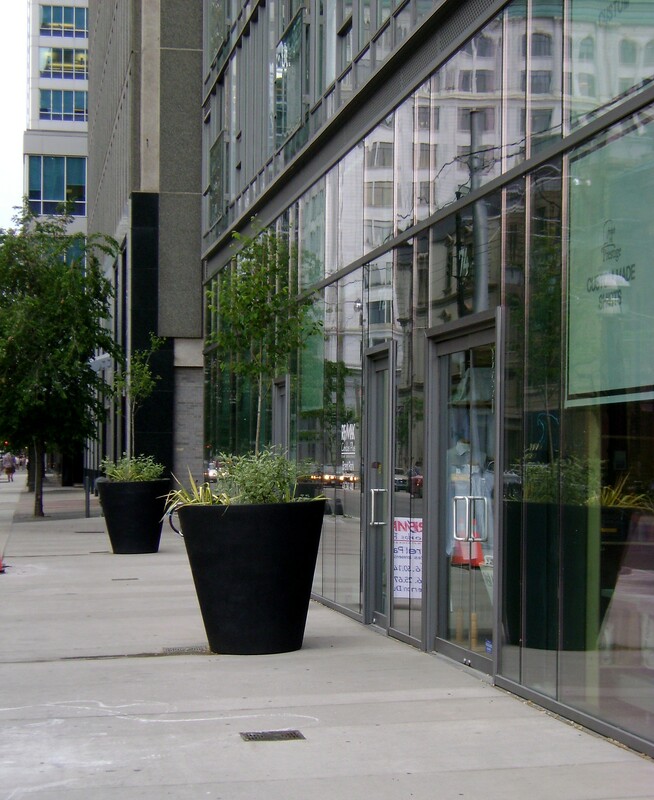 Another condo at Adelaide and Church has just installed these planters, look at the tree, recognize it. Here is what they look like on the street. 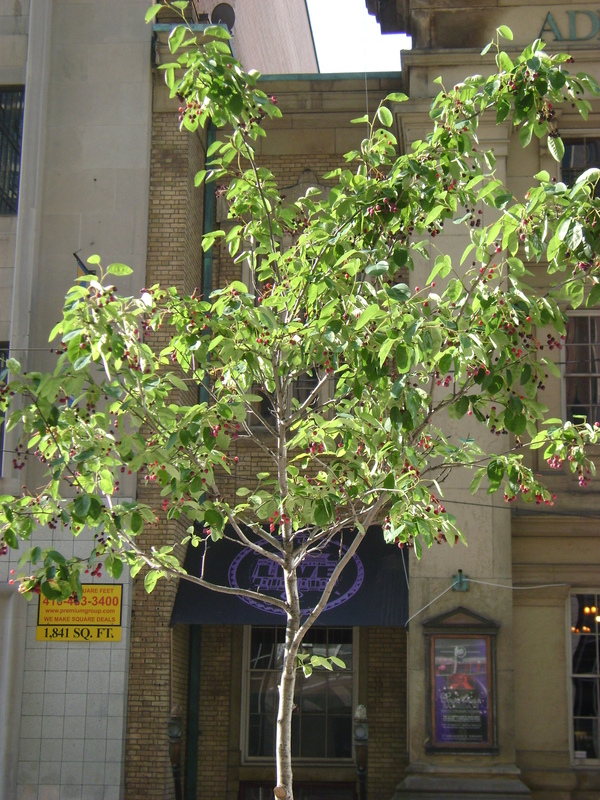 Speaking of streets, the City of Toronto is starting to plant serviceberries on the street, great for the birds. They are such a great all around tree all year long. 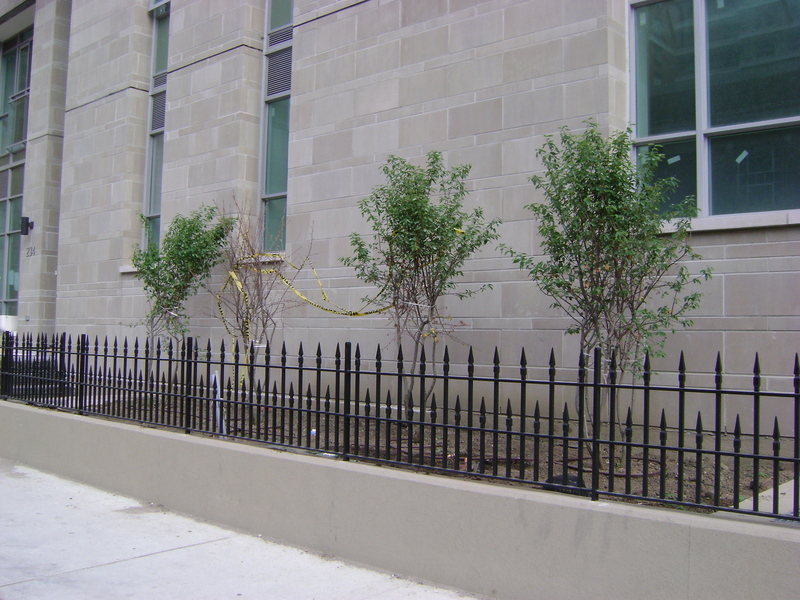 This small parkette is at Parliament and Adelaide. Look at the back row! All these were found less than five minutes from my condo. 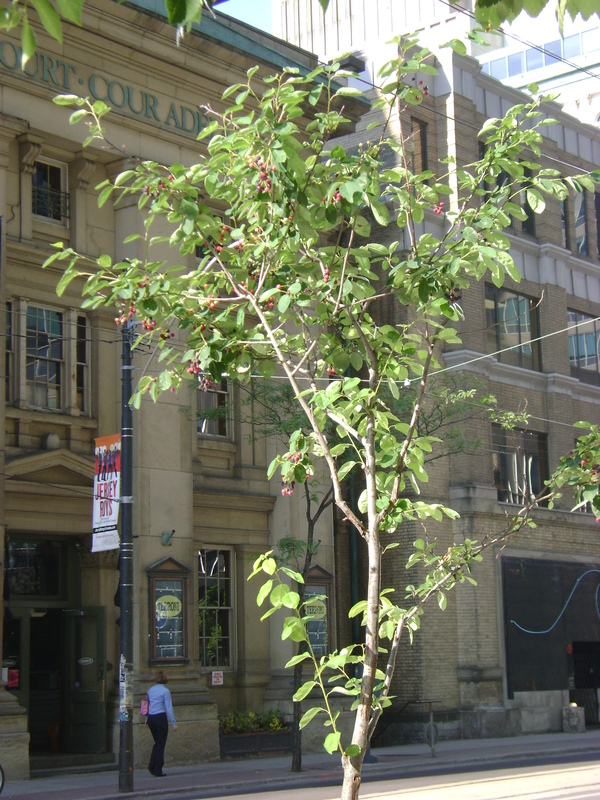 Have serviceberries become trendy on the east side of downtown Toronto, or are landscapers just realizing how beautiful and hardy they are, a great tree!